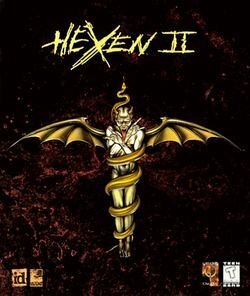 Hexen II is a dark fantasy first-person shooter developed by Raven Software from 1996 to 1997, published by id Software and distributed by Activision. It was the third game in the Hexen/Heretic series, and the last in the Serpent Riders trilogy. It was made available on Steam on August 3, 2007.Using a modified Quake engine, it featured single-player and multi-player game modes, as well as four character classes to choose from, each with different abilities. These included the offensive Paladin, the defensive Crusader, the spell-casting Necromancer, and the stealthy Assassin.